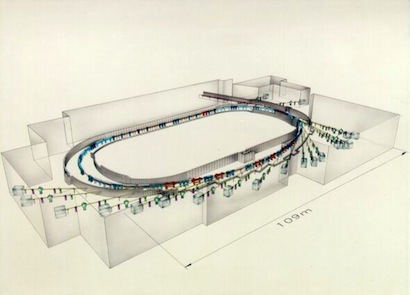 The 4.5 GeV storage ring DORIS III at DESY in Hamburg is a dedicated synchrotron radiation source with 9 wiggler/undulator insertion devices and several dipole beamlines. In total there are 36 beamline stations. The stored current is 140 mA of positrons in 5 bunches with a typical lifetime of 10 to 18 hours. The radiation in the extreme ultraviolet and x-ray regime is used in a broad range of applications from biology and chemistry to material science.